Haim Korsia, 51, the Jewish chaplain of the French army, was elected to a seven-year term by members of the Central Consistory. France's Jewish community on Sunday elected the Jewish chaplain of the French army as its new Grand Rabbi, as it grapples with rising anti-Semitism. 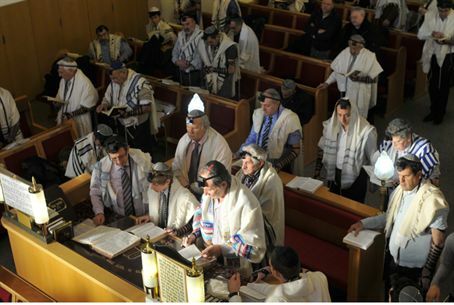 Haim Korsia, 51, was elected to a seven-year term by members of the Central Consistory, the top Jewish religious authority in France, defeating Olivier Kaufmann, the head of a rabbinical school, by a vote of 131 to 97. Korsia's election followed last year's shock resignation of former Grand Rabbi Gilles Bernheim after he admitted to plagiarism and to lying about his academic record on his CV. It comes as France's Jewish community -- the largest in Europe with 500,000 to 600,000 members -- has warned of rising anti-Semitism on the continent. Concerns have been raised by violent attacks, including last month's killing of four people outside a Jewish museum in Brussels and the murders of seven people, including a rabbi and three Jewish children, by gunman Mohammed Merah in Toulouse in 2012.